Buy a like-new Certified Pre-Owned Volkswagen and save thousands! 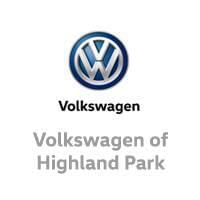 Visit this Highland Park, IL dealer today! Also serving Libertyville. FOUR BRAND NEW TIRES WITH TWO YEAR ROAD HAZARD WARRANTY. FRESH OIL CHANGE AND ALIGNMENT. BRAND NEW BRAKE PADS AND ROTORS. BRAND NEW BATTERY. This Jetta SportWagen 2.0L TDI w/Sunroof has been Volkswagen Certified. A 2-year or UNLIMITED MILES (whichever comes first) bumper-to-bumper limited warranty and 2 years of 24-hour Roadside Assistance on this VW Certified Pre-Owned unit. New Inventory... This Wagon has less than 63k miles* CARFAX 1 owner and buyback guarantee!!! Real gas sipper!!! 42 MPG Hwy.. In these economic times, a fantastic vehicle at a fantastic price like this Wagon is more important AND welcome than ever. Classy! Volkswagen CERTIFIED. Safety equipment includes: ABS, Traction control, Curtain airbags, Passenger Airbag, Signal mirrors - Turn signal in mirrors...Other features include: Bluetooth, Power locks, Power windows, Heated seats, Sunroof...Volkswagen Certified Pre-Owned means that you not only get the reassurance of a 2yr/24,000 mile Comprehensive warranty, but also a 112-point inspection/reconditioning, 24hr roadside assistance, and a complete CARFAX vehicle history report. Special APR Financing available. CARFAX 1 owner and buyback guarantee!!! . In these economic times, a fantastic vehicle at a fantastic price like this Wagon is more important AND welcome than ever. . Classy! . FOUR BRAND NEW TIRES WITH TWO YEAR ROAD HAZARD WARRANTY. BRAND NEW BATTERY. BRAND NEW BRAKE PADS AND ROTORS AND BRAKE FLUSH. FRESH OIL CHANGE, AIR FILTERS, AND ALIGNMENT. This Golf 2.0L TDI 4-Door has been Volkswagen Certified. A 2-year or UNLIMITED MILE (whichever comes first) bumper-to-bumper limited warranty and 2 years of 24-hour Roadside Assistance on this VW Certified Pre-Owned unit. Less than 42k Miles* Volkswagen CERTIFIED. A real head turner!!! CARFAX 1 owner and buyback guarantee... Want to stretch your purchasing power? Well take a look at this impressive 2013 Volkswagen Golf 2.0L TDI 4-Door*** Need gas? I don't think so. At least not very much! 42 MPG Hwy... New Arrival! Safety equipment includes: ABS, Traction control, Curtain airbags, Passenger Airbag, Front fog/driving lights...Other features include: Bluetooth, Power locks, Power windows, Heated seats, Auto-shift manual Transmission...Volkswagen Certified Pre-Owned means that you not only get the reassurance of a 2yr/24,000 mile Comprehensive warranty, but also a 112-point inspection/reconditioning, 24hr roadside assistance, and a complete CARFAX vehicle history report. Special APR Financing available. CARFAX 1 owner and buyback guarantee... . Want to stretch your purchasing power? Well take a look at this impressive 2013 Volkswagen Golf 2.0L TDI 4-Door*** . A real head turner!!! . NEW TIRES, FRESH ALIGNMENT, OIL CHANGE, AIR FILTERS, BRAKE FLUID FLUSH. This Jetta 2.0L TDI w/Premium has been Volkswagen Certified. A 2-year or UNLIMITED MILES (whichever comes first) bumper-to-bumper limited warranty and 2 years of 24-hour Roadside Assistance on this VW Certified Pre-Owned unit. This is the vehicle for you if you're looking to get great gas mileage on your way to work! New In Stock! CARFAX 1 owner and buyback guarantee* A amazing vehicle at a amazing price is what we strive to achieve! Less than 33k miles!!! You don't have to worry about depreciation on this trustworthy 2.0L TDI w/Premium!!!! * Stunning!! Volkswagen CERTIFIED!! Safety equipment includes: ABS, Traction control, Curtain airbags, Passenger Airbag, Daytime running lights...Other features include: Bluetooth, Power locks, Power windows, Heated seats, Sunroof...Volkswagen Certified Pre-Owned means that you not only get the reassurance of a 2yr/24,000 mile Comprehensive warranty, but also a 112-point inspection/reconditioning, 24hr roadside assistance, and a complete CARFAX vehicle history report. Special APR Financing available. CARFAX 1 owner and buyback guarantee* . A amazing vehicle at a amazing price is what we strive to achieve! . Stunning!! . BRAND NEW BRAKE PADS AND ROTORS ALL AROUND. BRAND NEW BATTERY. FRESH OIL CHANGE, ALIGNMENT, AND AIR FILTERS. This Jetta SportWagen 2.0L TDI w/Sunroof has been Volkswagen Certified. A 2-year or UNLIMITED MILE (whichever comes first) bumper-to-bumper limited warranty and 2 years of 24-hour Roadside Assistance on this VW Certified Pre-Owned unit. SAVE AT THE PUMP!!! 39 MPG Hwy!! It does everything so well, except be lazy!! Zoom Zoom Zoom!!! Less than 28k miles!!! You don't have to worry about depreciation on this dependable Wagon!!!! * Volkswagen CERTIFIED. CARFAX 1 owner and buyback guarantee*** New Inventory** Safety equipment includes: ABS, Traction control, Curtain airbags, Passenger Airbag, Daytime running lights...Other features include: Bluetooth, Power locks, Power windows, Heated seats, Sunroof...Volkswagen Certified Pre-Owned means that you not only get the reassurance of a 2yr/24,000 mile Comprehensive warranty, but also a 112-point inspection/reconditioning, 24hr roadside assistance, and a complete CARFAX vehicle history report. Special APR Financing available. CARFAX 1 owner and buyback guarantee*** . It does everything so well, except be lazy!! . Zoom Zoom Zoom!!! . FRESH OIL CHANGE, ALIGNMENT, AIR FILTERS. LIGHTING PACKAGE INCLUDING BI-XENON HEADLIGHTS!!! 2016 Volkswagen Jetta 1.8T SEL w/PZEV has been inspected and re-conditioned by our Certified Technician. Volkswagen CERTIFIED!!! Rolling back prices!! New In Stock.. This respectable Sedan would look so much better out doing all the stuff you need it to, instead of sitting here unutilized on our lot** CARFAX 1 owner and buyback guarantee! Great MPG: 36 MPG Hwy*** You win!!! Optional equipment includes: Also Includes upgraded multifunction display, Bi-xenon Headlights w/AFS, LED Daytime Running Lights, Lighting Package - Includes Interior Ambient Lighting...Volkswagen Certified Pre-Owned means that you not only get the reassurance of a 2yr/24,000 mile Comprehensive warranty, but also a 112-point inspection/reconditioning, 24hr roadside assistance, and a complete CARFAX vehicle history report. BRAND NEW BATTERY. FRESH OIL CHANGE, ALIGNMENT, AIR FILTERS. This Golf 2.0L TDI 4-Door has been Volkswagen Certified. A 2-year or UNLIMITED MILE (whichever comes first) bumper-to-bumper limited warranty and 2 years of 24-hour Roadside Assistance on this VW Certified Pre-Owned unit. Less than 18k Miles... How fantastic is this fine Vehicle!! New Inventory!!! You win!!! CARFAX 1 owner and buyback guarantee. Gets Great Gas Mileage: 42 MPG Hwy*** Volkswagen CERTIFIED!!! Safety equipment includes: ABS, Traction control, Curtain airbags, Passenger Airbag, Front fog/driving lights...Other features include: Bluetooth, Power locks, Power windows, Heated seats, Auto-shift manual Transmission...Volkswagen Certified Pre-Owned means that you not only get the reassurance of a 2yr/24,000 mile Comprehensive warranty, but also a 112-point inspection/reconditioning, 24hr roadside assistance, and a complete CARFAX vehicle history report. Special APR Financing available. CARFAX 1 owner and buyback guarantee. . How fantastic is this fine Vehicle!! . You win!!! . BRAND NEW BRAKE PADS AND ROTORS ALL AROUND. FRESH OIL CHANGE AND AIR FILTERS. This Jetta 1.8T Sport has been Volkswagen Certified. A 2-year or 24,000-mile (whichever comes first) bumper-to-bumper limited warranty and 2 years of 24-hour Roadside Assistance on this VW Certified Pre-Owned unit. CARFAX 1 owner and buyback guarantee. Volkswagen CERTIFIED.. This Vehicle has less than 31k miles* This is the vehicle for you if you're looking to get great gas mileage on your way to work*** New Inventory!! There are Sedans, and then there are Sedans like this ample Jetta. Fun and sporty!! Optional equipment includes: Roadside Assistance Kit...Volkswagen Certified Pre-Owned means that you not only get the reassurance of a 2yr/24,000 mile Comprehensive warranty, but also a 112-point inspection/reconditioning, 24hr roadside assistance, and a complete CARFAX vehicle history report. Special APR Financing available. CARFAX 1 owner and buyback guarantee. . There are Sedans, and then there are Sedans like this ample Jetta. . Fun and sporty!! . FOUR BRAND NEW TIRES. FRESH ALIGNMENT. BRAND NEW BATTERY, FRESH OIL CHANGE, AIR FILTERS AND WIPERS. UNIQUE 50's EDITION CONVERTIBLE. This Beetle 2.5L 50s Edition has been Volkswagen Certified. A 2-year or 24,000-mile (whichever comes first) bumper-to-bumper limited warranty and 2 years of 24-hour Roadside Assistance on this VW Certified Pre-Owned unit. Volkswagen CERTIFIED!!! This Beetle has less than 39k miles.. Includes a CARFAX buyback guarantee! Want to feel like you've won the lottery? This Vehicle will give you just the feeling you want, but the only thing your long lost relatives will be after is a ride* Just Arrived* Look!! Look!! Look!! Safety equipment includes: ABS, Traction control, Passenger Airbag, Daytime running lights, Signal mirrors - Turn signal in mirrors...Other features include: Leather seats, Bluetooth, Power locks, Power windows, Heated seats...Volkswagen Certified Pre-Owned means that you not only get the reassurance of a 2yr/24,000 mile Comprehensive warranty, but also a 112-point inspection/reconditioning, 24hr roadside assistance, and a complete CARFAX vehicle history report. Special APR Financing available. Includes a CARFAX buyback guarantee! . Want to feel like you've won the lottery? This Vehicle will give you just the feeling you want, but the only thing your long lost relatives will be after is a ride* . Look!! Look!! Look!! . FRESH OIL CHANGE, AIR FILTERS, AND WIPERS. This Jetta 1.8T Sport has been Volkswagen Certified. A 2-year or 24,000-mile (whichever comes first) bumper-to-bumper limited warranty and 2 years of 24-hour Roadside Assistance on this VW Certified Pre-Owned unit. A real head turner!!! CARFAX 1 owner and buyback guarantee!! New Inventory.. Drive this tried-and-trued Sedan home today.. This Jetta has less than 12k miles! Volkswagen CERTIFIED* This gas-saving Vehicle will get you where you need to go!! Safety equipment includes: ABS, Traction control, Curtain airbags, Passenger Airbag, Front fog/driving lights...Other features include: Navigation, Bluetooth, Power locks, Power windows, Heated seats...Volkswagen Certified Pre-Owned means that you not only get the reassurance of a 2yr/24,000 mile Comprehensive warranty, but also a 112-point inspection/reconditioning, 24hr roadside assistance, and a complete CARFAX vehicle history report. Special APR Financing available. CARFAX 1 owner and buyback guarantee!! . Drive this tried-and-trued Sedan home today.. . A real head turner!!! . FRESH OIL CHANGE, NEW BRAKE PADS AND ROTORS ALL AROUND, FRESH BRAKE FLUID FLUSH, FRESH FILTERS AND ALIGNMENT. ONLY 23K MILES ON THIS DIESEL WAGON!!! This Jetta SportWagen 2.0L TDI w/Sunroof has been Volkswagen Certified. A 2-year or UNLIMITED MILE (whichever comes first) bumper-to-bumper limited warranty and 2 years of 24-hour Roadside Assistance on this VW Certified Pre-Owned unit. CARFAX 1 owner and buyback guarantee. SAVE AT THE PUMP!!! 42 MPG Hwy! Less than 24k Miles!!! Like the feeling of having people stare at your car? This great 2014 Volkswagen Jetta SportWagen 2.0L TDI w/Sunroof will definitely turn heads.. Volkswagen CERTIFIED. All Around hero!! Safety equipment includes: ABS, Traction control, Curtain airbags, Passenger Airbag, Daytime running lights...Other features include: Bluetooth, Power locks, Power windows, Heated seats, Sunroof...Volkswagen Certified Pre-Owned means that you not only get the reassurance of a 2yr/24,000 mile Comprehensive warranty, but also a 112-point inspection/reconditioning, 24hr roadside assistance, and a complete CARFAX vehicle history report. Special APR Financing available. CARFAX 1 owner and buyback guarantee. . Like the feeling of having people stare at your car? This great 2014 Volkswagen Jetta SportWagen 2.0L TDI w/Sunroof will definitely turn heads.. . All Around hero!! . FRESH OIL CHANGE, BRAKE FLUSH, ALIGNMENT, AND AIR FILTERS. This Tiguan S has been Volkswagen Certified. A 2-year or 24,000-mile (whichever comes first) bumper-to-bumper limited warranty and 2 years of 24-hour Roadside Assistance on this VW Certified Pre-Owned unit. Real gas sipper!!! 26 MPG Hwy. Hold on to your seats!!! Volkswagen has done it again!!! They have built some adaptable vehicles and this adaptable Tiguan is no exception!! New Arrival!! Does it all!! Volkswagen CERTIFIED!! CARFAX 1 owner and buyback guarantee!!! All Wheel Drive, never get stuck again!! Safety equipment includes: ABS, Traction control, Curtain airbags, Passenger Airbag, Daytime running lights...Other features include: Bluetooth, Power locks, Power windows, Heated seats, Auto...Volkswagen Certified Pre-Owned means that you not only get the reassurance of a 2yr/24,000 mile Comprehensive warranty, but also a 112-point inspection/reconditioning, 24hr roadside assistance, and a complete CARFAX vehicle history report. Special APR Financing available. CARFAX 1 owner and buyback guarantee!!! . Hold on to your seats!!! Volkswagen has done it again!!! They have built some adaptable vehicles and this adaptable Tiguan is no exception!! . Does it all!! . FRESH ALIGNMENT, OIL CHANGE, AND AIR FILTERS. This Beetle 1.8T S has been Volkswagen Certified. A 2-year or 24,000-mile (whichever comes first) bumper-to-bumper limited warranty and 2 years of 24-hour Roadside Assistance on this VW Certified Pre-Owned unit. Gas miser!!! 33 MPG Hwy! CARFAX 1 owner and buyback guarantee** Volkswagen CERTIFIED. New Arrival* You win!! Less than 6k Miles.. There are Vehicles, and then there are Vehicles like this outstanding 1.8T S!!! Safety equipment includes: ABS, Traction control, Passenger Airbag, Daytime running lights, Dusk sensing headlights...Other features include: Bluetooth, Power locks, Power windows, Auto, Turbo...Volkswagen Certified Pre-Owned means that you not only get the reassurance of a 2yr/24,000 mile Comprehensive warranty, but also a 112-point inspection/reconditioning, 24hr roadside assistance, and a complete CARFAX vehicle history report. Special APR Financing available. CARFAX 1 owner and buyback guarantee** . There are Vehicles, and then there are Vehicles like this outstanding 1.8T S!!! . You win!! . FRESH OIL CHANGE, AIR FILTERS, AND ALIGNMENT. This Jetta 1.4T SE has been Volkswagen Certified. A 2-year or 24,000-mile (whichever comes first) bumper-to-bumper limited warranty and 2 years of 24-hour Roadside Assistance on this VW Certified Pre-Owned unit. Classy!!! Volkswagen CERTIFIED.. It's ready for anything!!!! Come and get it.. Great MPG: 38 MPG Hwy.. Just Arrived... CARFAX 1 owner and buyback guarantee.. Optional equipment includes: Monster Mats Rubber Mat Kit (Set of 4), Chrome Exhaust Tips, First Aid Kit...Volkswagen Certified Pre-Owned means that you not only get the reassurance of a 2yr/24,000 mile Comprehensive warranty, but also a 112-point inspection/reconditioning, 24hr roadside assistance, and a complete CARFAX vehicle history report. Special APR Financing available. CARFAX 1 owner and buyback guarantee.. . It's ready for anything!!!! Come and get it.. . Classy!!! . FRESH OIL CHANGE, ALIGNMENT, AND AIR FILTERS. This Jetta 1.4T SE has been Volkswagen Certified. A 2-year or 24,000-mile (whichever comes first) bumper-to-bumper limited warranty and 2 years of 24-hour Roadside Assistance on this VW Certified Pre-Owned unit. Your lucky day! CARFAX 1 owner and buyback guarantee!! New In Stock!!! I'm what you call a smooth operator and you'll love every minute with me! I promise to show you off everywhere we go!!! This is the vehicle for you if you're looking to get great gas mileage on your way to work** Volkswagen CERTIFIED... Optional equipment includes: Monster Mats Rubber Mat Kit (Set of 4), Chrome Exhaust Tips, First Aid Kit...Volkswagen Certified Pre-Owned means that you not only get the reassurance of a 2yr/24,000 mile Comprehensive warranty, but also a 112-point inspection/reconditioning, 24hr roadside assistance, and a complete CARFAX vehicle history report. Special APR Financing available. CARFAX 1 owner and buyback guarantee!! . I'm what you call a smooth operator and you'll love every minute with me! I promise to show you off everywhere we go!!! . Your lucky day! . FRESH ALIGNMENT, OIL CHANGE, AND AIR FILTERS. This CC 2.0T Sport has been Volkswagen Certified. A 2-year or 24,000-mile (whichever comes first) bumper-to-bumper limited warranty and 2 years of 24-hour Roadside Assistance on this VW Certified Pre-Owned unit. SAVE AT THE PUMP!!! 31 MPG Hwy. Volkswagen CERTIFIED.. New In Stock... CARFAX 1 owner and buyback guarantee!! Here it is! If you've been dreaming about just the right 2.0T Sport w/PZEV, well stop your search right here*** Safety equipment includes: ABS, Xenon headlights, Traction control, Curtain airbags, Passenger Airbag...Other features include: Navigation, Bluetooth, Power locks, Power windows, Heated seats...Volkswagen Certified Pre-Owned means that you not only get the reassurance of a 2yr/24,000 mile Comprehensive warranty, but also a 112-point inspection/reconditioning, 24hr roadside assistance, and a complete CARFAX vehicle history report. Special APR Financing available. CARFAX 1 owner and buyback guarantee!! . If you've been dreaming about just the right 2.0T Sport w/PZEV, well stop your search right here*** . Here it is! . FRESH OIL CHANGE, AIR FILTERS, AND WIPERS. LOADED SE WITH PANO ROOF AND NAVIGATION. This Tiguan SE has been Volkswagen Certified. A 2-year or 24,000-mile (whichever comes first) bumper-to-bumper limited warranty and 2 years of 24-hour Roadside Assistance on this VW Certified Pre-Owned unit. Move quickly! Less than 9k miles!!! You don't have to worry about depreciation on this awesome 2016 Volkswagen Tiguan SE!!!!.. One of the best things about this SE is something you can't see, but you'll be thankful for it every time you pull up to the pump.. New Inventory! Volkswagen CERTIFIED. All Wheel Drive!! !AWD*** CARFAX 1 owner and buyback guarantee. This fantastic Volkswagen is one of the most sought after vehicles on the market because it NEVER lets owners down... Safety equipment includes: ABS, Xenon headlights, Traction control, Curtain airbags, Passenger Airbag...Other features include: Navigation, Bluetooth, Power locks, Power windows, Heated seats...Volkswagen Certified Pre-Owned means that you not only get the reassurance of a 2yr/24,000 mile Comprehensive warranty, but also a 112-point inspection/reconditioning, 24hr roadside assistance, and a complete CARFAX vehicle history report. Special APR Financing available. CARFAX 1 owner and buyback guarantee. . This fantastic Volkswagen is one of the most sought after vehicles on the market because it NEVER lets owners down... . Move quickly! . FRESH OIL CHANGE AND AIR FILTERS. This Golf Alltrack TSI S has been Volkswagen Certified. A 2-year or 24,000-mile (whichever comes first) bumper-to-bumper limited warranty and 2 years of 24-hour Roadside Assistance on this VW Certified Pre-Owned unit. This generous TSI S, with its grippy AWD, will handle anything mother nature decides to throw at you** New Arrival! Are you longing for a car that you don't have to wonder if it will start in the morning? Well, this Wagon will have you excited to pick-up even your mother-in-law** Real gas sipper!!! 30 MPG Hwy!! CARFAX 1 owner and buyback guarantee!!! Less than 11k Miles*** A real head turner!! Volkswagen CERTIFIED** Safety equipment includes: ABS, Traction control, Curtain airbags, Passenger Airbag, Front fog/driving lights...Other features include: Bluetooth, Power locks, Power windows, Heated seats, Auto-shift manual Transmission...Volkswagen Certified Pre-Owned means that you not only get the reassurance of a 2yr/24,000 mile Comprehensive warranty, but also a 112-point inspection/reconditioning, 24hr roadside assistance, and a complete CARFAX vehicle history report. Special APR Financing available. CARFAX 1 owner and buyback guarantee!!! . Are you longing for a car that you don't have to wonder if it will start in the morning? Well, this Wagon will have you excited to pick-up even your mother-in-law** . A real head turner!! . FRESH ALIGNMENT, OIL CHANGE, AND FILTERS. This Atlas 2.0T S has been Volkswagen Certified. A 1-year or 12,000-mile (whichever comes first) bumper-to-bumper limited warranty and 2 years of 24-hour Roadside Assistance on this VW Certified Pre-Owned unit. This healthy Atlas would look so much better out doing all the stuff you need it to, instead of sitting here unutilized on our lot. New In Stock. Volkswagen CERTIFIED*** Includes a CARFAX buyback guarantee*** All Around gem!!! One of the best things about this 2018 Volkswagen Atlas 2.0T S is something you can't see, but you'll be thankful for it every time you pull up to the pump* Safety equipment includes: ABS, Traction control, Curtain airbags, Passenger Airbag, Daytime running lights...Other features include: Bluetooth, Power locks, Power windows, Auto, Turbo...Volkswagen Certified Pre-Owned means that you not only get the reassurance of a 2yr/24,000 mile Comprehensive warranty, but also a 112-point inspection/reconditioning, 24hr roadside assistance, and a complete CARFAX vehicle history report. Special APR Financing available. Includes a CARFAX buyback guarantee*** . This healthy Atlas would look so much better out doing all the stuff you need it to, instead of sitting here unutilized on our lot. . All Around gem!!! . This Atlas 2.0T S has been Volkswagen Certified. A 2-year or 24,000-mile (whichever comes first) bumper-to-bumper limited warranty and 2 years of 24-hour Roadside Assistance on this VW Certified Pre-Owned unit. This healthy Atlas would look so much better out doing all the stuff you need it to, instead of sitting here unutilized on our lot. New In Stock. Volkswagen CERTIFIED*** Includes a CARFAX buyback guarantee*** All Around gem!!! One of the best things about this 2018 Volkswagen Atlas 2.0T S is something you can't see, but you'll be thankful for it every time you pull up to the pump* Safety equipment includes: ABS, Traction control, Curtain airbags, Passenger Airbag, Daytime running lights. This Atlas 3.6L V6 SEL Premium has been Volkswagen Certified. A 2-year or 24,000-mile (whichever comes first) bumper-to-bumper limited warranty and 2 years of 24-hour Roadside Assistance on this VW Certified Pre-Owned unit. CARFAX 1 owner and buyback guarantee. This durable SUV, with its grippy AWD, will handle anything mother nature decides to throw at you... New Inventory! $ $ $ $ $ I knew that would get your attention!!! Now that I have it, let me tell you a little bit about this outstanding 2018 Volkswagen Atlas 3.6L V6 SEL Premium that is currently priced to move.. Volkswagen CERTIFIED*** Need gas? I don't think so. At least not very much! 23 MPG Hwy. ATTENTION!! Rolling back prices** Safety equipment includes: ABS, Traction control, Curtain airbags, Passenger Airbag, Front fog/driving lights...Other features include: Leather seats, Navigation, Bluetooth, Power locks, Power windows...Volkswagen Certified Pre-Owned means that you not only get the reassurance of a 2yr/24,000 mile Comprehensive warranty, but also a 112-point inspection/reconditioning, 24hr roadside assistance, and a complete CARFAX vehicle history report. Special APR Financing available. CARFAX 1 owner and buyback guarantee. . $ $ $ $ $ I knew that would get your attention!!! Now that I have it, let me tell you a little bit about this outstanding 2018 Volkswagen Atlas 3.6L V6 SEL Premium that is currently priced to move.. . ATTENTION!! .